5 Words: Terrifying, real, special, friendship, mind-blowing. Right from the start, I knew that The One Safe Place wasn't your average speculative young adult story. Firstly, it can probably be read by anyone aged eight or up. And perhaps younger readers would realise that childhood is something to cherish. A common theme in most media today is global warming and the possible impact that this could have. 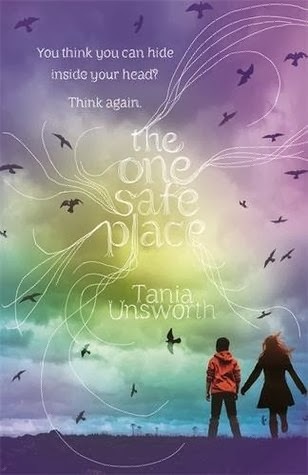 The One Safe Place explores it wonderfully. This could happen. The world that you explore as you read - yes, reading this book is like walking through this world, excellent writing - is quite terrifying. Imagine being truly alone in world but being surrounded by so many others who are alone? And them imagine that you find paradise. Of course it isn't as you first think. The main character has synaesthesia, although it's never referenced as such. This makes the world come more alive. And it makes the mystery all the more terrifying. Devin seems to see what others cannot and the sense of foreboding grows and grows to a thrilling climax. This story gets darker and darker with each page but there is plenty of humour spread throughout too so it never gets too much. I'd recommend this to pretty much everyone. It was a fantastic read and I can't thank Orion enough for sending me an ARC. A Note on the Cover: The copy I received had a different cover (the bound proof) and I have to say, I liked it more. It was striking, so different from what I'm used to seeing. 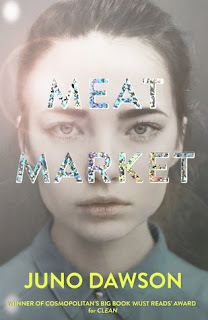 I would definitely have picked it up with the ARC cover but I think I'd hesitate with the published cover.